Our custom waterfall installations are built to impress, and each one is painstakingly built from the ground up to fit your yard, budget, and style. 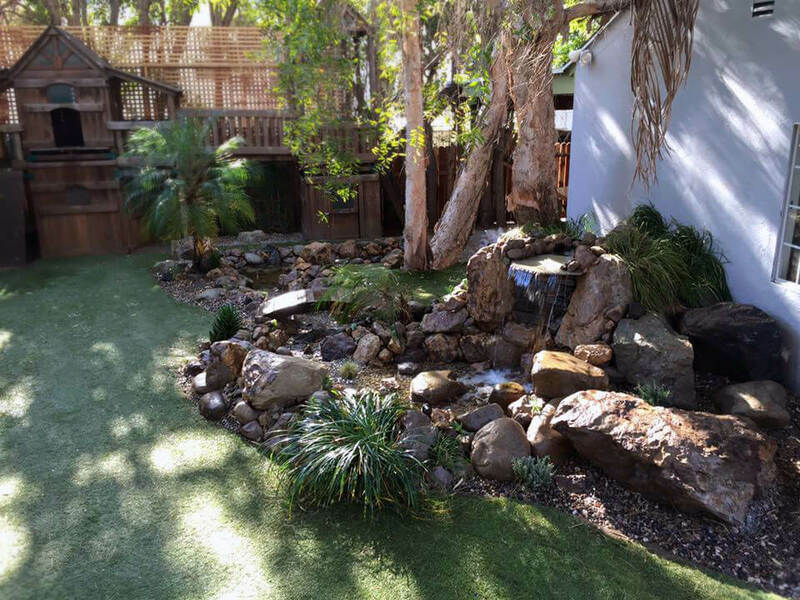 Whether you want a pondless flagstone waterfall in your back yard or a natural stone waterfall that culminates in a koi pond in your front yard, our team will make it happen. 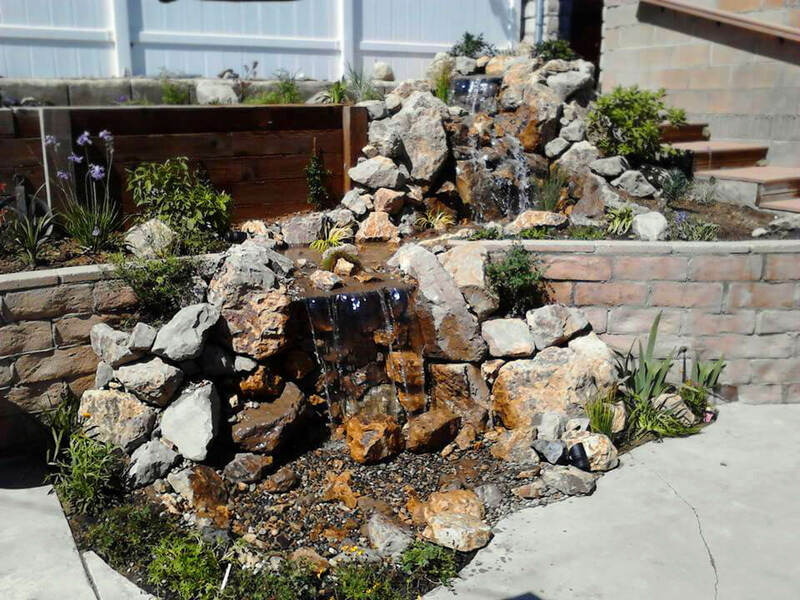 Why Should Chuck’s Landscaping Build your Waterfall? Chuck’s Landscaping is a locally owned and operated company offering individualized care and attention. Unlike many other custom waterfall builders in Los Angeles, our waterfall designers typically work alongside the build team, ensuring that each detail is perfectly implemented. That means you’ll get a safer and more reliable waterfall, completed on time and on budget. Sorry, but we do not install indoor waterfalls. Ready for your Own Waterfall? Set up a free consultation today and see just how affordable your custom waterfall could be.